Manila has always been considered, as it still remains so today, as the "Shop Window" of the Philippines to the world; reflecting the lifestyle and culture of the Filipinos. As such, Manila is always at the helm and ahead among the provinces in tourism, aggressively promoting the country for the much needed Dollars to finance various government projects. 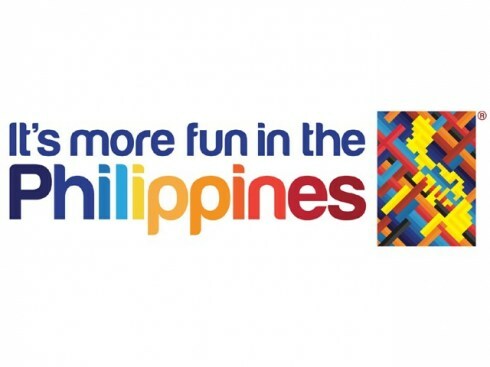 It is for this reason that the Department of Tourism (DOT) recently launched its Ad Campaign, "It's more fun in the Philippines" as an invitation to other countries to take a closer look at the Philippines as a world class tourist destination not only in Asia but in the whole world, having spent a reported Php 63 million for its advertising campaign on CNN (Cable News Network). In line with this effort, the DOT, in cooperation with the Makati Shangri-La Hotel in Manila, happily launched this May 2012 Manila's signature cocktail called, "Manila Sunshine". 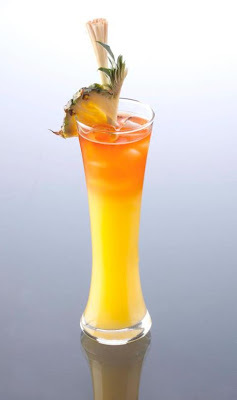 The Manila Sunshine has been described as "distinctly Filipino" as the cocktail drink uses "lambanog," a locally produced wine made from coconut as its base. It comes in flavors of locally produced mango and pineapple with a reasonable mixture of triple sec and Tanduay rum, a popular multi-awarded alcoholic beverage in the Philippines, and is garnished with "tanglad" or lemongrass, and a slice of pineapple. However, here is a real knock out . 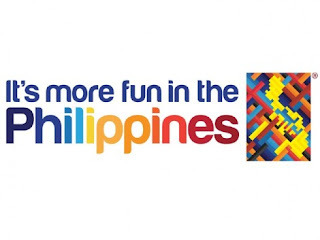 . . Davao City once again "beat" Manila "to the punch!" As early as August 2011, the city government of Davao launched its own version of signature cocktail drink aptly named, the "Davao Punch", in line with the city's tourism campaign in last year's celebration of Kadayawan Festival, a month long celebration usually held during August of each year in thanksgiving for the year's blessings of bountiful harvest of flowers, fruits and other agricultural produce, and in honor of the city's richness and diversity of artistic, cultural and historical heritage. Davao Punch is non-alcoholic, and is only a rich mixture of fruit juices of guava, calamansi, and pomelo. It was especially concocted by the Center for Culinary Studies Davao for guests arriving at the Davao International Airport from August 11 to 21, 2011. Its recipe and the name itself are trademarked for the exclusive use by the City of Davao. The recipe was freely given to restaurants and bars in Davao City with the condition that it cannot be developed into an alcoholic beverage, otherwise, the name, "Davao Punch" cannot be used and it would have to be renamed into something else. 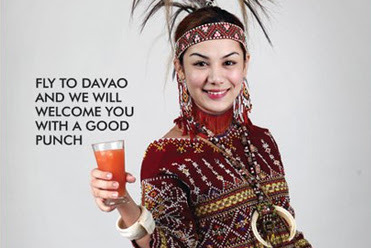 "FLY TO DAVAO AND WE WILL WELCOME YOU WITH A GOOD PUNCH. a concoction especially made for the guests of Davao City." They say that the name, "Davao Punch", was a clever reference to the July 1, 2011 incident when the lady City Mayor punched a Court Sheriff after disobeying her orders to delay the impending demolition of several shanties. Mayor Sara Duterte’s punches were caught on video and aired in national television which became an instant sensation in the internet.